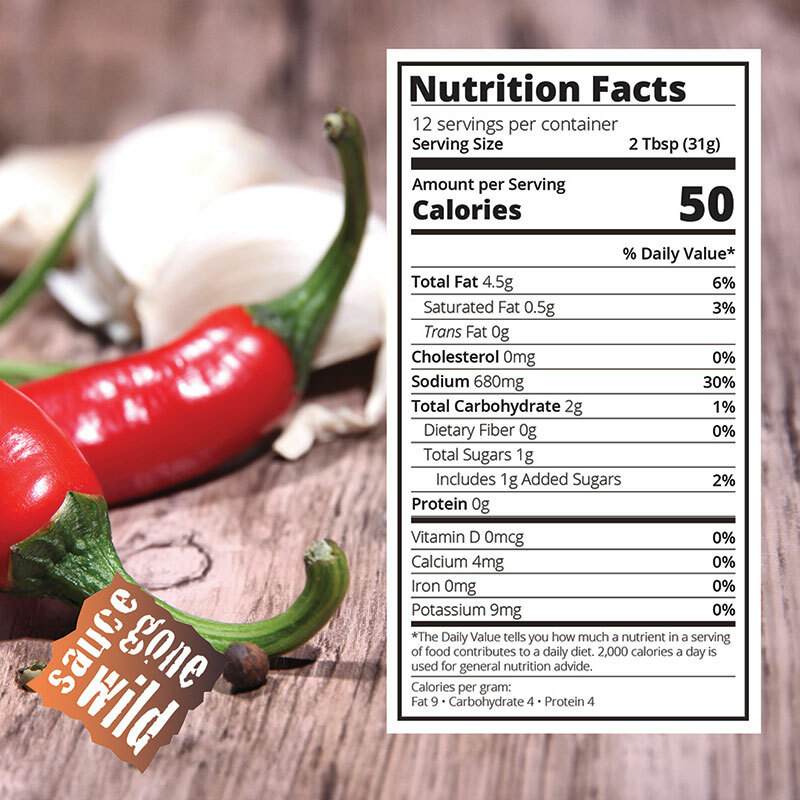 The premium Spicy Garlic sauce you’re holding right now is more than a wing and dippin’ sauce- it’s a “party in a bottle”! FIRST, we get the party started by mixing up a WILD blend of our one-of-a-kind cayenne pepper sauce, natural butter flavor and secret spices. THEN, we add the tangy zeal of apple cider vinegar, savory garlic, and heat-infusing cayenne, making this sauce truly WILD! Next, the party’s kickin’ the moment you begin “sauce-tossing” your wings, “dippin’ your chicken”, or “slather-blasting” your favorite foods! 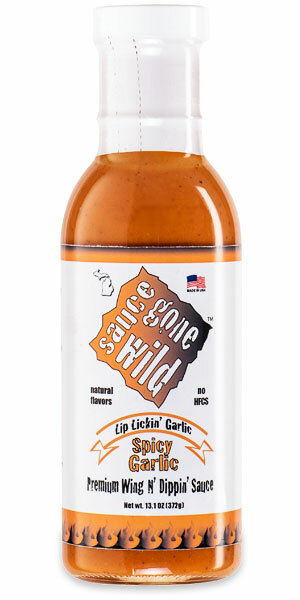 YOU just found the secret ingredient to a good time… Now, get that party started, get sauced, and get WILD…”SAUCE GONE WILD”!